The identity of one person of the six accused in the 2003 Arges grenade recovery, is still shrouded in mystery. There is one person called Lincoln about whom the charge sheet does not have any details. Bangla Tribune investigation reveals that Lincoln’s actual name is Leon. About nine years ago, his dead body was recovered from T&T field in Korail. Previously, he was arrested by law enforcers from a mosque in Narayanganj. Hailing from Chittagong, he was known in Korail slum, Gulshan, Badda and Banani as a professional killer. He was a cohort of Mukul, a leading accused in the Arges grenade recovery case. 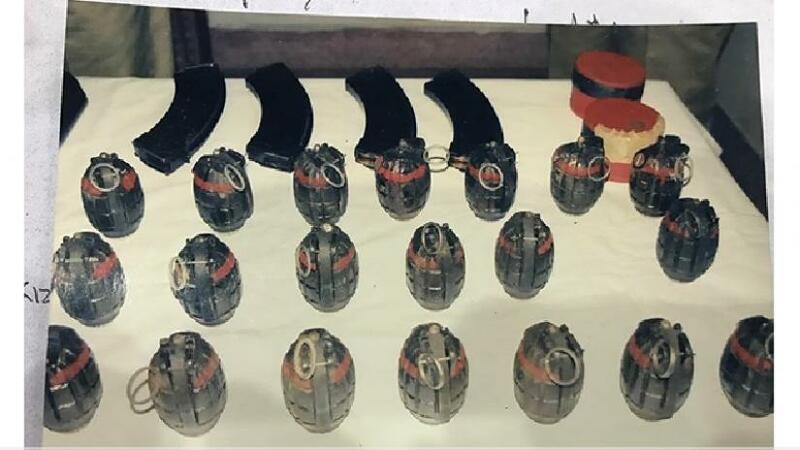 “Though they did not touch the explosives, they used the weapons, including the AK-47 rifle and the .32 pistol,” said the official. The weapons were being unloaded in front of a shop called Tulir Porosh – a signboard writing shop owned by Mehedi Hassan, Manik – also an accused in the case. Manik has denied any link with the explosive-related incident. He emphatically stated that the charge-sheet has presented him in a distorted way. In prison, I was kept in the same cell as another accused Rubel, but I did not know him. During interrogation, I said that I have been falsely implicated in the case, said Manik. However, Manik knew another accused, Jahangir, who was involved in the rent a car trade. Manik now has a photo studio in Kuril and says that before the Arges grenade case, there wasn’t any case against him. The protracted case creates torment in my life, he added.